Recto (mount): lower right below image, in black ink, "46"; lower center below image, in black ink, "The Flag of the Commander in Chief of / the Corean [sic] Forces captured in Fort McKee / by two Marines under Captain Tilton"
Verso (mount): lower right edge, in pencil, Wilson inventory number, "99:6499:46"
Here three military officers pose in front of a Korean flag they captured at Fort McKee. The mission was essentially a failure, resulting in unnecessary deaths and failed negotiations between the United States and Korea. 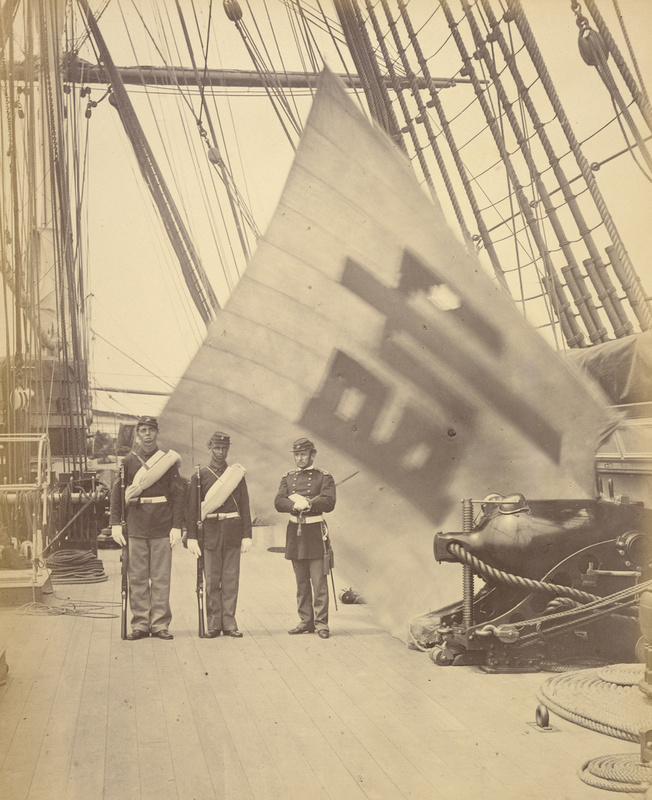 Commissioned to make photographs for the Americans, Beato perpetuated the illusion of victory.